A teen-led Jewish community service day for all ages! 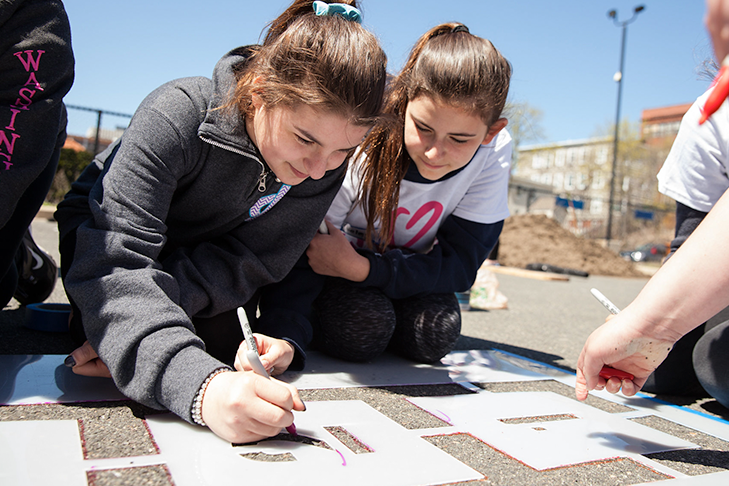 Jewish Teen Initiative and Combined Jewish Philanthropies (CJP) invite you to roll up your sleeves, rally your friends and join your neighbors to make a difference on the North Shore. At our JTI & CJP Community Action Day, you’ll work with an incredible group of teen and adult leaders on projects to support Plummer Youth Promise in Salem and other local organizations. With projects geared toward families with young children as well as adults and teens, there’s a meaningful way for everyone to participate in this intergenerational event. 12:30-3:30 p.m. Let’s get to work! Take our free bus from Jewish Community Center of the North Shore (JCCNS), 4 Community Road in Marblehead, departing at 10:45 a.m. and returning to JCCNS at 4:45 p.m., or from Temple Ner Tamid (TNT), 368 Lowell St. in Peabody at 11:15 a.m., and returning to TNT at 4:15 p.m. This is a free event, but pre-registration is requested by Friday, April 5, to ensure that we have enough supplies for each person. For more information or special accommodations, contact Sarah Wood of JTI at sarah@jtiboston.org or 781-244-5544, or Beth Tauro of CJP at betht@cjp.org or 617-457-8761. Many thanks to JServe, the Michael Steinberg Leadership Development Endowment Fund, Pediatric Health Care Associates P.C., Larry Levine’s Kosher Meats & Deli and the CJP North Shore Planning Committee for making this event possible. For more information, please check our calendar page.